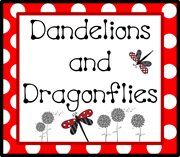 dandelions and dragonflies: Classroom Reveal...Take Two! Okay, so I am finally settled in my new school, therefore it's time for what you all have been waiting for...the reveal! So here goes. The view when you walk in, to the left. My work area, a little different than I am used to because of the shape of the room. NEW to this room! Center Central. It's where I put, use, and kids can interact with Daily 5 and Daily Math materials. Will put folder games, games I have made and put into large envelopes, and even picture books on topics we are reviewing...in the pocket chart. Found a use for a bucket! Hung three of them that contain manipulatives they will use for different games. Because I am a firm believer in putting all my furniture up against walls, I don't have much wall space for vocabulary walls...so use whatcha got! NEW to this room! I am starting Daily Math, therefore had to have another place to list groups, where else but under the board! I got this idea from Pinterest! They are spray painted pizza pans, hot glue a little ribbon and tada! I love how they turned out. So next to each pan (group), is a pocket that I can put the number of the pocket from my pocket chart (in center central) that they can go to and use materials for seatwork or partner work during Daily Math. The names have magnets on the back, so I can move the kiddos around too! Did you follow that? My library, A little more consolidated than before. My behavior chart, and Center or Daily 5 group rotation (the circles are just die cut and a magnet on the back, don't know why I didn't think of that before!). To the left, my listening center, squeezed in there! Outside wall...took the leaf idea from a co-worker at my old school...I think hers look better, see below! My sign I made with my Cricut! Well that's all for tonight. I hope you enjoyed, maybe even have been inspired...again! Good luck in your new classroom. It looks great. I'm your newest follower...as a teacher. 1) LOVE the red polka dots...my favorite them colors - red, white, and black! 2) What did you use to hold your books on your shelves? the black ones? I am looking to redo my classroom library, but i have TONS of books, and a lot of what I'm finding is a little on the expensive side. Welcome Teachermum...hope you enjoy and find things you can use. @Jen R. I used small square crates, I use to be able to find them at the Dollar Store, but that is hit and miss. However, every school year WalMart carries them, of course different colors different years...they usually run about $1.19. They do carry the "white/clear" ones year round on the aisle with all the storage containers. If you are lucky they may have colored ones left from the back to school sales (this year red and black were their colors). The clear ones I use for the larger books, those are shoe "boxes". I also have gotten all the black shelves from WalMart. HINT: Staple gun the backing board as well as nail it, makes them last A LOT longer! Good Luck! I am a pre-service teacher and I stumbled across your blog. I love what you did with your room. I am planning a red, white and black color scheme. I'm going for an investigative reporter theme (I am a huge supporter of inquiry learning). I love your desk arrangements as well. I'm just giddy with excitement! @Kristin...thanks for stopping by! I am glad you were able to get some ideas. If you need buckets check out my business FB page, the follow me on FB button. I also made the trash cans. Let me know if you are interested. @Diane...I wish I had found blogs and such to glean ideas from when I was doing my student teaching, it may have saved me a few years of trial and error. I had a friend change her theme to the investigator idea this year. It was really cute. Wow. Wow. Wow. Crazy cute! YOur classroom looks awesome! I love the red and dots. I just found your blog through pinterest and I am so happy I did. I just became your newest follower! 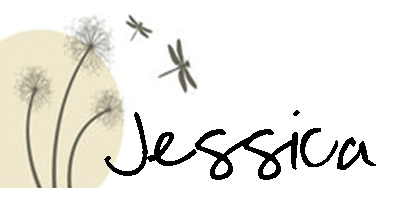 I would love for you to visit my blog and follow me. Ms. Patterson...thanks for following, glad to have you. Love your blog too! Where did you get your directors chair?! The chair was a class gift, but I know she picked it up at Cost Plus World Market. I think they may have a website. Love it!!!! How did you attach your clipboards under your bulletin boards? Do the kids ever knock them off accidentally? Love all your ideas! Where did you get the black shelves at the end of the desks? It is cork board...I used fabric and border and stapled it all. I had to use a staple gun, the cork was really really tough! I purchased the black shelves at WalMart...usually around $15 for the small ones. Love everything. I am so inspired!!! I think you have visited my Etsy Here is a coupon for you and your teacher friends; DSDsave20 for 20% Off Digi Scrap Delights. Thank YOU for caring for children. Loving the ladybugs! Red & black throughout looks amazing! I love where you hung the backpacks.. How did you get them on the cinderblock wall! I have a wall that is near an area that has to be kept clear (exit in case of emergency) I never know what to do there.. the hanging backpack rack would be ideal!!! I notice the clip boards hanging on the wall. What do the children use those for? They use the clipboards for small group things, if they can't see the board and need to move to the floor, sometimes in centers if they need to write...they are there for pretty much any time use. Thanks for reading!